The perfect combination of tomato with sour, sweet, salty, and spicy flavours make this cup-a-soup an instant hit. It's crunchy, delicious and easy to make everytime. 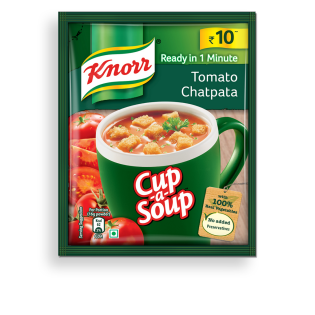 Knorr Cup-a-Soup satisfies your small hunger pangs in just 1 minute. What's in our Tomato Chatpata?